The Right Honble. Sr. Charles Pratt Kt. 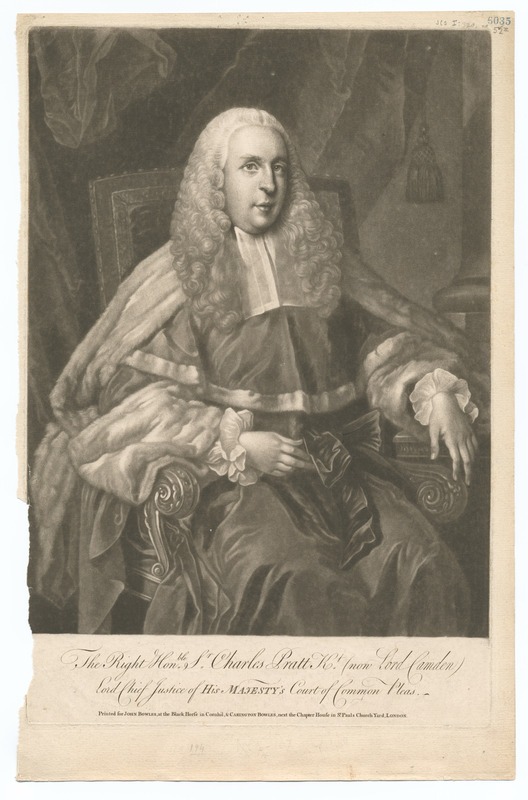 (now Lord Camden), Lord Chief Justice of His Majesty's Court of Common Pleas. 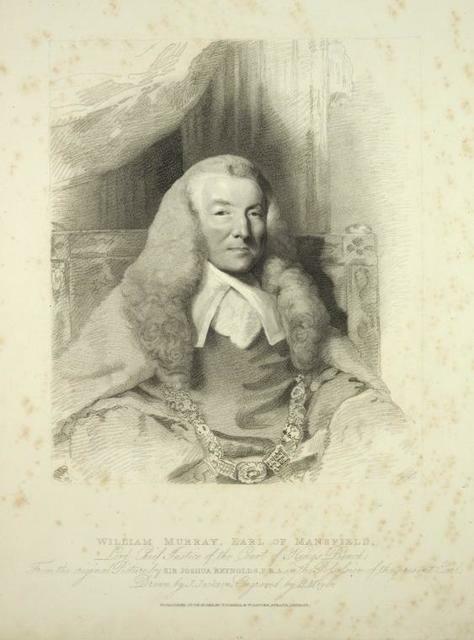 William Murray, Earl of Mansfield, Lord Chief Justice of the Court of King's Bench. The Right Hon-ble Sr. Charles Pratt Kt. 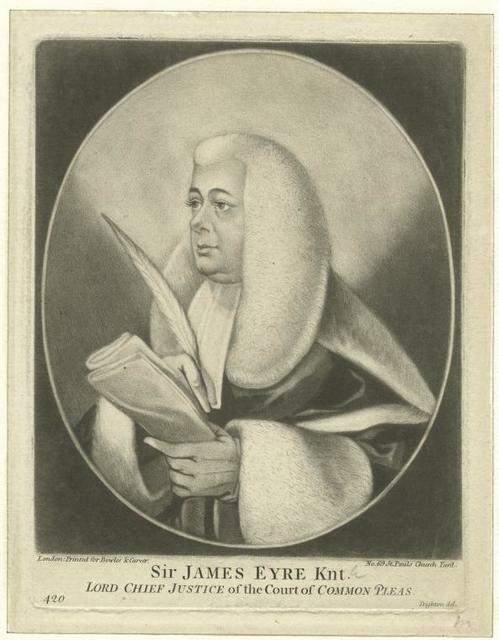 (now Lord Camden) Lord Chief Justice of His Majesty's Court of Common Pleas. Sr. Matthew Hale Kt. Lord Chief Justice of His Majesty's Court of King's Bench. The Right Honourable Sir John Eardley Wilmot, Knt. Lord Chief Justice of the Court of Common Pleas. Sir James Eyre Knt. 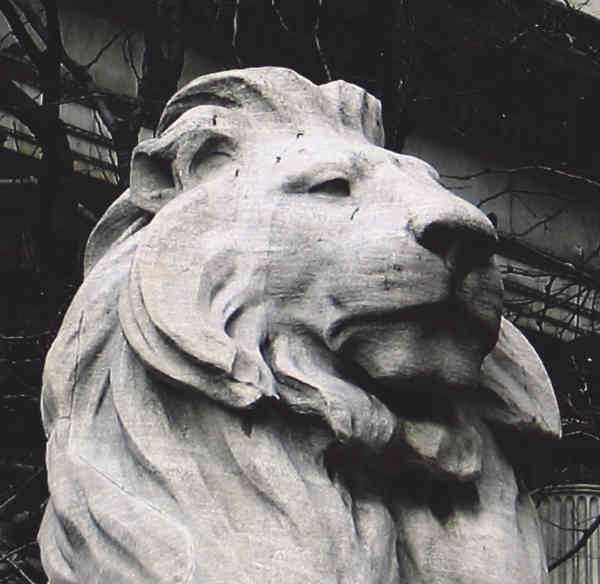 Lord Chief Justice of the Court of Common Pleas. The Honorable Sir Wm. Blackstone, knight, one of the justices of the Court of Common Pleas.